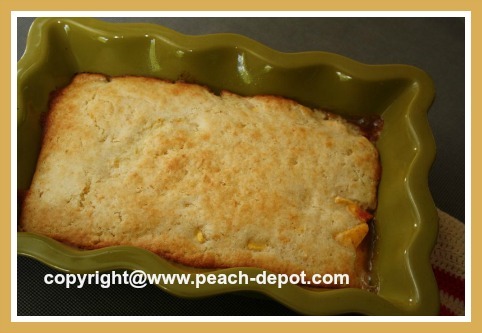 This Low Fat Cobbler Recipe with Peaches makes an easy, delicious low fat dessert with healthy fresh peaches. It has a gentle touch of cinnamon spice. Serve warm plain, or with a dollop of fat-free yogurt or Greek Yogurt. 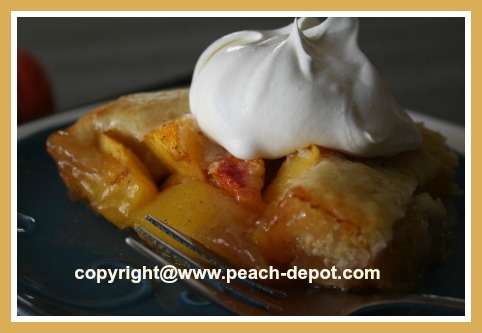 A true "comfort" food for dessert time or for snack time!. 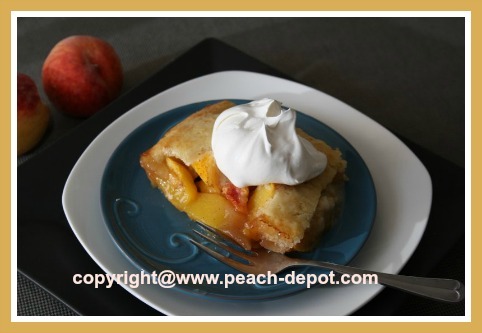 Note - You can easily substitute fresh nectarines, apricots or plums for this recipe with equally fabulous results. 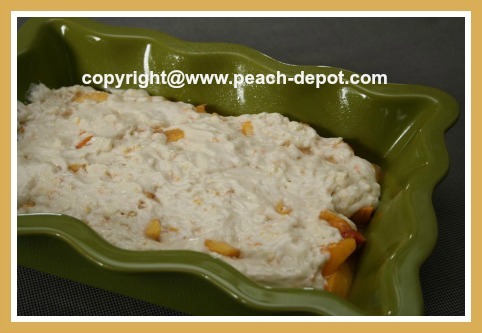 Transfer the peach mixture to a greased 8" x 8" baking dish, or similar size baking dish. Combine the flour, orange rind, baking powder, salt, baking soda, and the remaining 1/4 cup of the granulated sugar in a bowl. Using a pastry blender or fork cut in the chilled butter until the mixture resembles coarse crumbs. Gently, stir in the buttermilk, just until moistened. 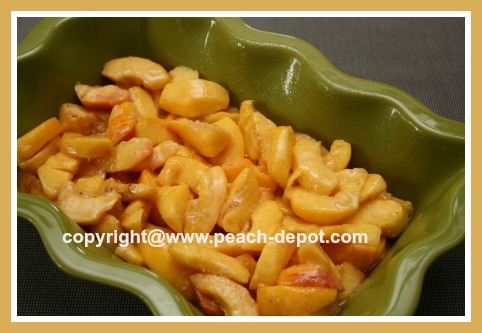 Drop the flour mixture over the peaches in the baking dish using a large spoon. Bake at 375° F for about 30 minutes, or until golden brown. Serve warm or at room temperature plain, or with a dollop of low-fat yogurt or Greek yogurt. 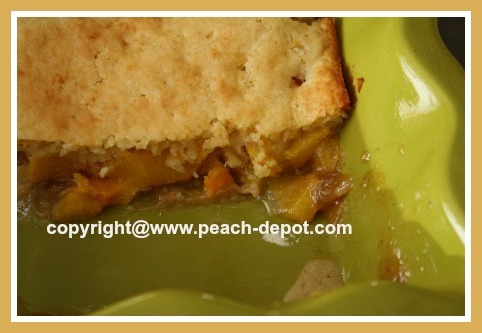 If you find, after having removed any homemade fruit cobbler from the oven, that the topping is not completely baked, simply bake it in a microwave oven on "high" for a few minutes, checking after every 2 minutes. Works great!